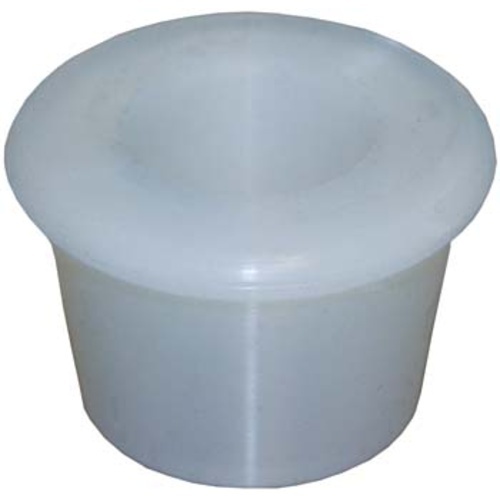 Use this silicone sleeve to fit a cooling snake into a the existing air lock hole on a Variable Volume Fermenter. Silicone sleeve makes an air tight seal between lid and cooling snake. Note that if you want to use the cooling snake during an active ferment you will need to modify the lid to be fitted with an airlock - we suggest a tri-clover fitting be welded in the top and a piece of tubing connected to this that runs into a bucket of water. We can help you choose the necessary fittings. Bottom OD - 1 5/8"
Bottom ID - 1 1/8"
Top OD - 1 15/16"
Top ID - 1 1/8"
Bottom OD - 1 3/4"